Allow your little boy to look smart by dressing him up in this polo tee presented by the famous clothing brand, Flying Machine Kids. 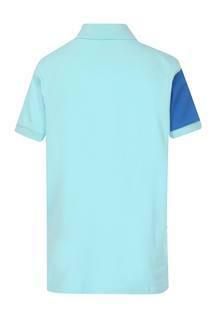 It has been crafted using good quality fabric that makes it convenient to wear. 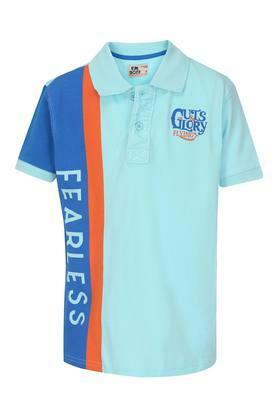 Moreover, it flaunts a graphic print and short sleeves that renders it trendy. 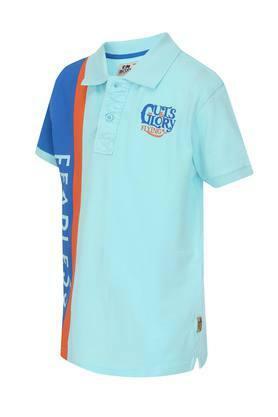 Lend your son a cute look by making him wear this polo tee with a pair of jeans and sneakers for any casual occasion.